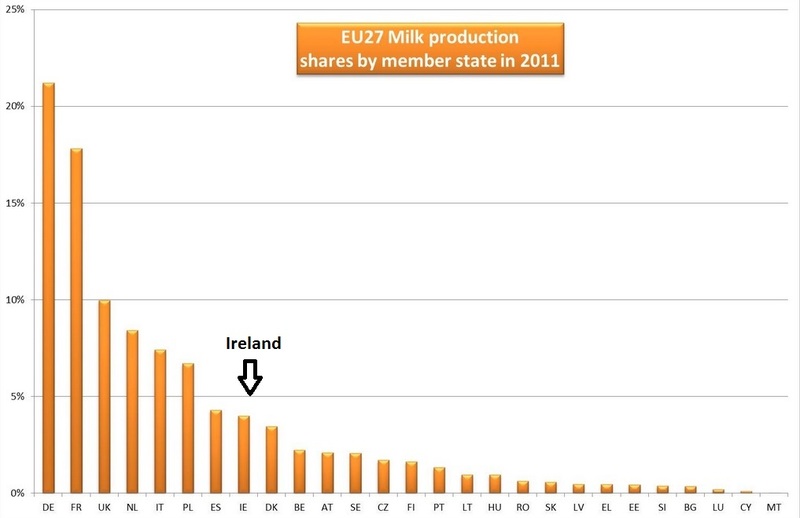 While there has been much celebration about the ending of quotas in the EU from an Irish viewpoint, from a Brussels perspective it has to be noted that not all countries are ecstatic with our plans for growth in the dairy sector. 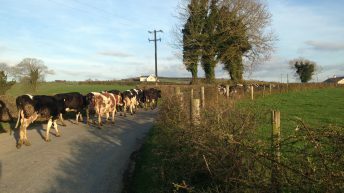 That’s according to ICOS, which has said that there is a very discernible fear that the dairy growth targets in Ireland will be a drag on the EU milk price. For ICOS, while it is clear that Ireland has a very good news story to tell about our plans for our co-operative based dairy industry, it is important that this is framed correctly in order not to alienate our partners across Europe. 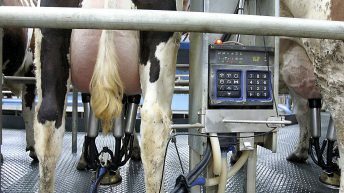 For example, the region of Brittany in France produces almost as much milk alone as we do and increased output almost 10% last year and France’s overall increase in production last year by what we target to do in 10 years. 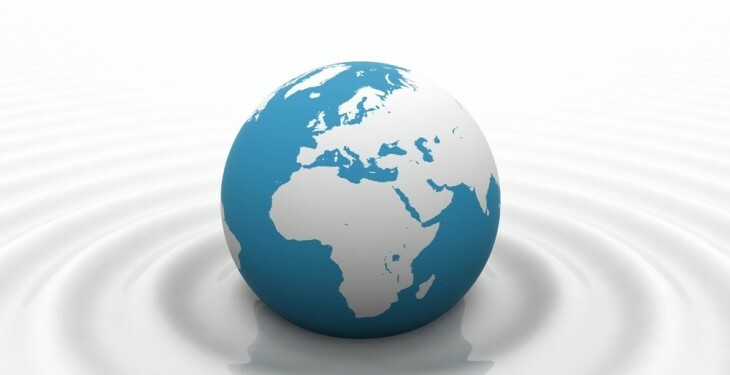 According to ICOS, even if Ireland achieves its growth target over the next decade, we will still struggle to hit 1% of global milk output. 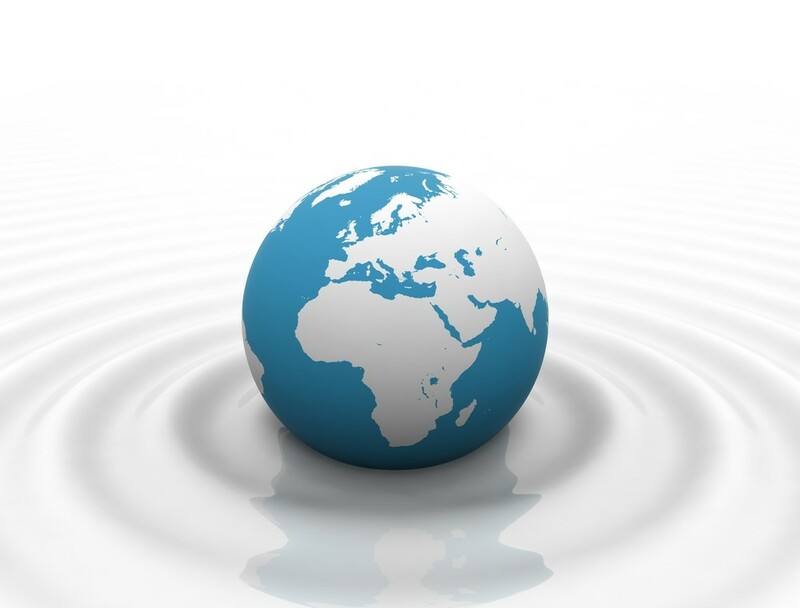 Our output will be somewhere around the levels of noted dairy luminaries such as Uzbekistan and Ecuador, it says. Even from an EU perspective, ICOS says if we hit our dairy targets we will not have much more than 4% of overall EU output, far behind the Germans, French and Poles. 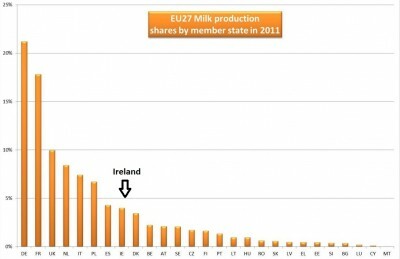 Yet, according to ICOS, Ireland is increasingly put forward both in the market and politically as the bad guys who will put a ‘wall of milk’ across Europe and depress the market. This, of course, is simply not true, ICOS says. ICOS notes that we have for the first time, since a policy decision enacted in 1984, an opportunity to grow a native industry that is farmer member controlled and will deliver wealth back into rural communities. However, it cautions that it is important that the sector does not allow a hype machine to damage our potential for growth and sour our relations with partners who we have to work with to ensure our success.